A raft of hugely successful albums followed that are still held in awe by an army of loyal fans; the release of Piledriver in 1972 heralded a purple patch in which twelve consecutive long-players charted in the UK Top 10. The classic ‘Frantic Four’ line-up of Rossi, Parfitt, Lancaster and Coghlan started to disintegrate in 1981 and eventually imploded in 1985. 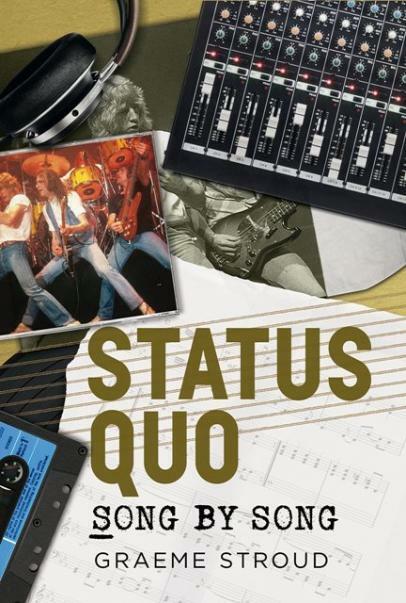 Although they have gone on to post over sixty UK chart hits in six separate decades, Status Quo: Song by Song focuses on those days of glory from their earliest recordings until the demise of the classic line-up. Graeme Stroud is a musician and writer, having played lead guitar in a number of bands since the 1970s, along with various additional instruments for solo projects. He has written on websites and blogs on a number of subjects for several years and has been a reviewer, interviewer and feature writer for Rock Society magazine since 2014, specialising in the blues and rock genres.